If you are anything like me, one of the hardest things about the Dr. Dukan Diet is staying away from carbs. However there are ways you can trick your body and mind into believing you are eating carbs even though you aren’t. 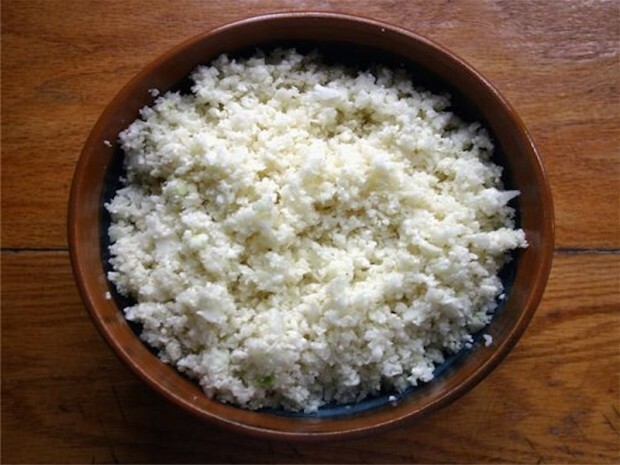 This cauliflower rice is one of those things and works perfectly for any veggie and protein day on the diet. You can flavor the rice with any seasonings or herbs you like and it works as a perfect replacement. 1. Cut the head of cauliflower into chunks. 2. Then pulse the cauliflower in a food processor until it becomes the texture of rice. Do not over pulse or you will end up with a paste. 4. Or you can saute it with 1 teaspoon of olive oil for 3-5 minutes. Consider adding onion, shallots, or garlic to add more flavor and any spices or fresh herbs you like.